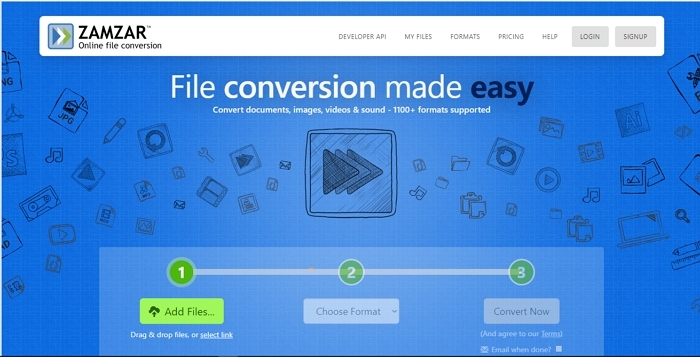 Free download the best video converter below to convert H.264 to AVI easily in seconds! Q: How can I Convert H.264 to AVI quickly? Do you need to convert H.264 to AVI format? 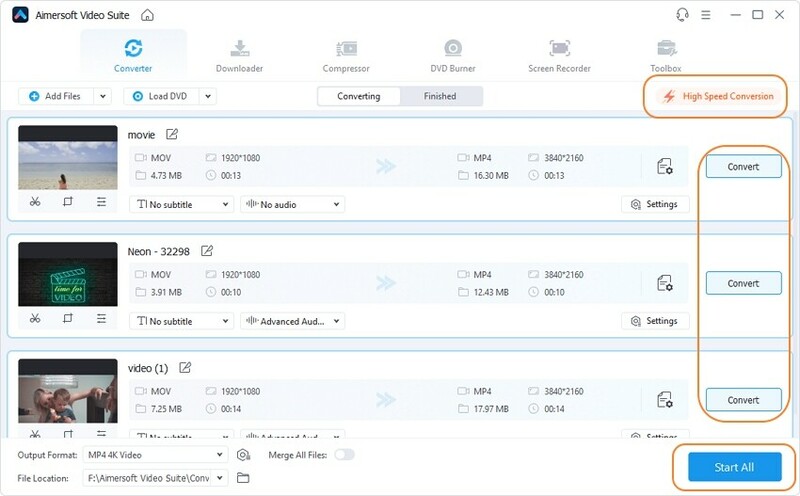 If you have some H.264 files that you cannot play on your Windows-based computer because they are in non-compatible formats, then you will need to convert them to AVI format, which is well accepted by Windows default media player. In addition, AVI also doesn't burden your hardware or take too much space on your hard drive as H.264 does. And by converting H.264 videos to AVI format you can upload or share your AVI files on YouTube or online with your friends. Learn the best H.264 to AVI converter in this post! Aimersoft Video Converter Ultimate is the perfect choice for converting H.264 format to AVI without losing quality in video conversion. This is a professional video converter that is not only easy to use, but is known for delivering excellent quality. It can also convert the H.264 files to other popular formats such as FLV, WMV, DivX, MOV, MPEG, MP4 and more. Convert H.264 to AVI or other 500+ different video/audio formats. Edit H.264 files before converting to AVI or other formats. 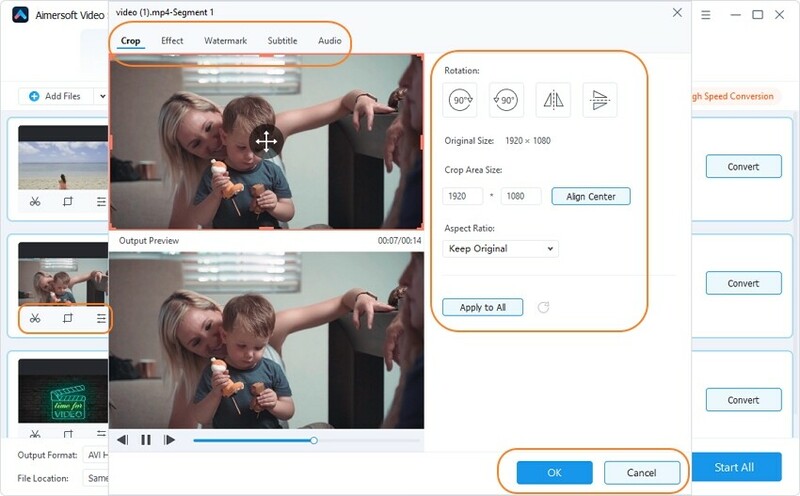 You can crop, trim, merge, add watermark and other features to the videos. Burn videos to DVD or copy DVD files. Download online videos from 1000 popular sites like YouTube, Facebook, Dailymotion, etc. Record video or computer screen; make GIF image, fix video metadata. Install and launch the Aimersoft H.264 to AVI converter, this will give you access to the main interface. To start converting you need to first add the file(s): Click the Add Files button and then choose the file(s) to convert from the menu that appears. You can also drag the files to the program’s main window. The converter will allow you to upload multiple files at the same time. As the file is imported, you can click the 3 Edit icons which will lead you to another window, where you can adjust the frame size and visual effects, add watermarks and also subtitles. As you make the changes you can see them on the video sample in the same window. As you finished the editing, it's time to set the output format to AVI, which you can make from the drop down menu to your right. You can also change the location where the output file will be saved from the Output Folder drop down menu. Finally, just press the Convert All button to your lower right corner and the program will start converting H.264 to AVI. The conversion will only take a few seconds. After that, you can open the folder to view the converted AVI video clips. You will be amazed at how quickly Aimersoft program converts from one format to the other. Shortly, H.264 is a codec standard for Blu-Ray discs. It is also known as a standard for video compression, and the main purpose for this standard is to provide the public with high-definition videos. This standard format is very often used for online video streaming and thus used by websites like YouTube and Vimeo, and also used for broadcasting purposes (cable TV, satellite, etc). One of the slightly negative sides of H.264 is that it can be heavy on the disk space and it requires a better hardware. On the other hand there is AVI formats (Audio Video Interleave) which is a container format produced by Microsoft. AVI files provide synchronised audio and video playback. It supports multiple streaming channels. The AVI format is also supported by older hardware systems and plays smoothly on newer or older computers. It is important to know that AVI doesn't support compression as is the case with h264, thus it doesn't access any future chunk of information in its container package (which may lead to significant lagging if the hardware is older). 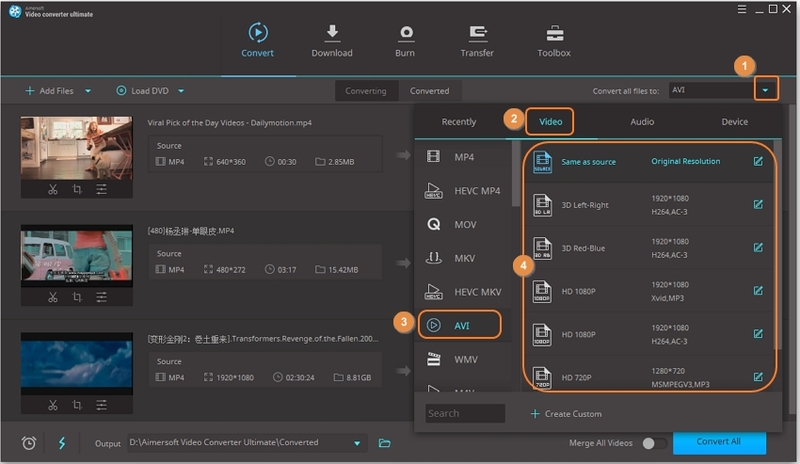 In this section, we will explore an in-depth detailing of 3 methods to convert H.264 to AVI online in a hassle-free manner. 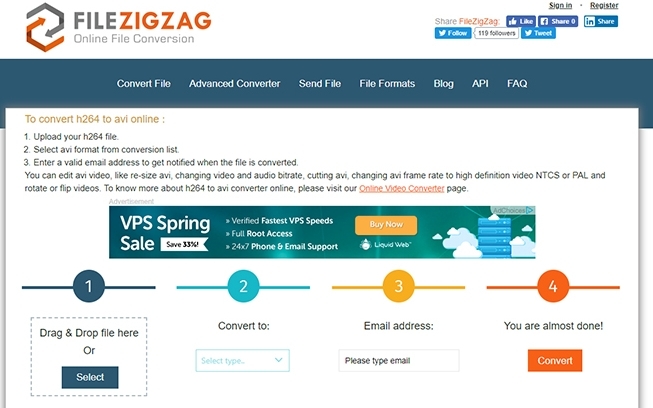 To convert H.264 to AVI online, you can use FILEZIGZAG! 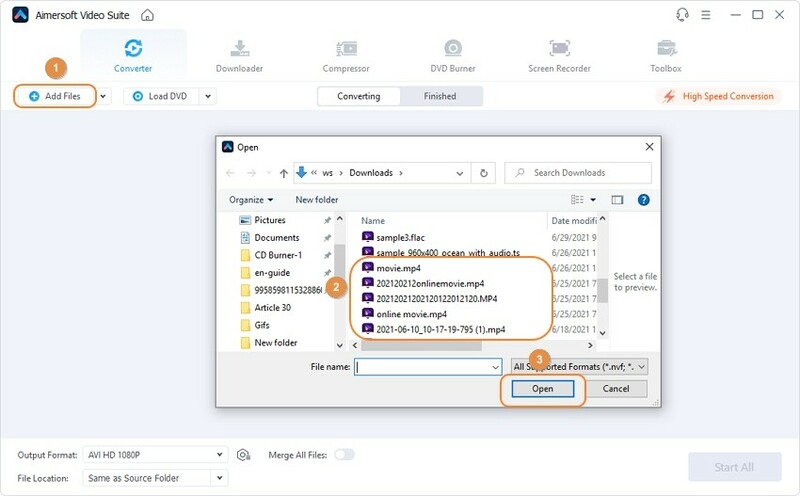 This online file converter offers users to convert any kind of file format between any document, image, audio video etc and can handle conversion of H.264 to AVI effectively. FILEZIGZAG takes good care of editing MP4 video, duly resizing MP4, changing the audio bitrates and performing other useful enhancements. It hardly takes a fraction of minutes and processes the conversion speedily. Hence, stands as one of the fastest and most reliable tool. Furthermore, this converter can swiftly intake input directly from PC, URL or Google Drive. Your search for a simple yet effective means of driving conversion of H.264 file format to AVI ends with Online-Convert.com. Being one of the oldest methods, it is incorporated to be compatible with several kinds of file formats like documents, eBooks, images, videos etc. AAC, FLAC, WAV, WLMP, WMA and MKC are some of the one it supports! For processing conversion, users need to paste the URL and fetch output without having to wait much. Apart from converting, Online-Convert.com is capable of changing size of the inputs and resize them accordingly. Zamzar is also a considerable H.264 to AVI converter offering online conversion facility. Besides taking care of conversion, Zamzar ensures to duly protect files as it uses firm encryption methods. So whenever output is downloaded or launched, defected kind of file is scanned prior conversion. Online H.264 to AVI converters are the web based applications that handles conversion without needing software. The ease of fetching simple conversion task is there but there are several other aspects that should be considered into. Less scope for Batch Process – It is very rare for online converters to process conversions of multiple file formats simultaneously. Need of Internet – In no way, can users fetch the results without using internet. Internet is crucial in processing conversion. Inability to handle large files – There is a certain limit over file size that some online converters can take. Some cannot exceed more than 500MB at all. So if you are looking for a professional H.264 to AVI converter with more powerful features, you can try Aimersoft Video Converter Ultimate. You can free download it below.